Seiyu GK, a Japanese subsidiary of Walmart, has decided to participate in Japan’s first aquaculture improvement project, the “Miyagi Onagawa Coho Salmon AIP”. 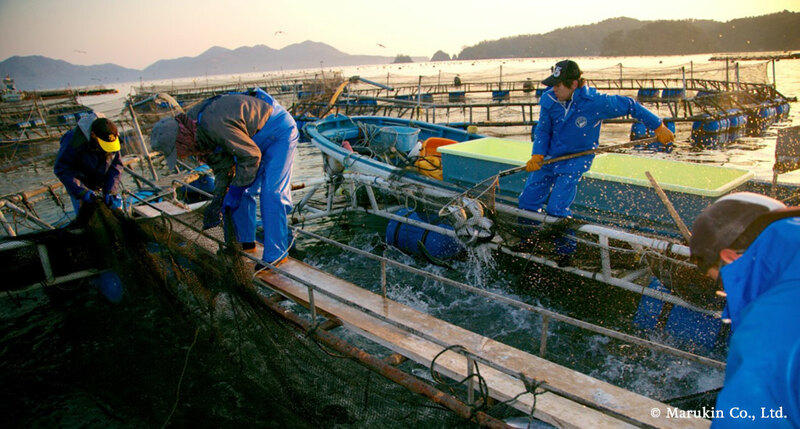 The project, a collaborative effort by Marukin Co., Ltd., Fisherman Japan, and Ocean Outcomes launched this year, works to improve the sustainability of Coho salmon farms in the thriving seafood region of Onagawa, Japan. Seiyu, who joins the project as a formal participant, will contribute financial resources towards the project objectives and sell AIP Coho salmon product in Tokyo area stores. An Aquaculture Improvement Project (AIP) is a collaborative effort, which brings together multiple stakeholders including producers, distributors, and NGOs for the purpose of improving the sustainability of a farm’s aquaculture practices. With advice and technical support from Ocean Outcomes and Fisherman Japan, Marukin will work to address issues identified during a third-party assessment. This includes monitoring the farms impact on the surrounding ecosystems and evaluating the sustainability of the feed use in the farming process. Seiyu will provide funding for these activities and will publicly support the project by selling Miyagi Onagawa Coho Salmon AIP products. As harvest volume of internationally recognized species such as Pacific Bluefin Tuna and others more familiar to Japanese consumers—ranging from Saury, Mackerel, Sardine, and Walleye Pollock—remains low in Japan, concerns continue to mount regarding stock levels and fishing practices. With a growing interest and demand for sustainable seafood as the 2020 Tokyo Olympic and Paralympic Games approach—the Olympic committee has required all seafood sourced for the Games to be sustainable—improvement projects such as this are garnering support in the hopes of bringing Japanese fisheries and farms in line with international best practices.